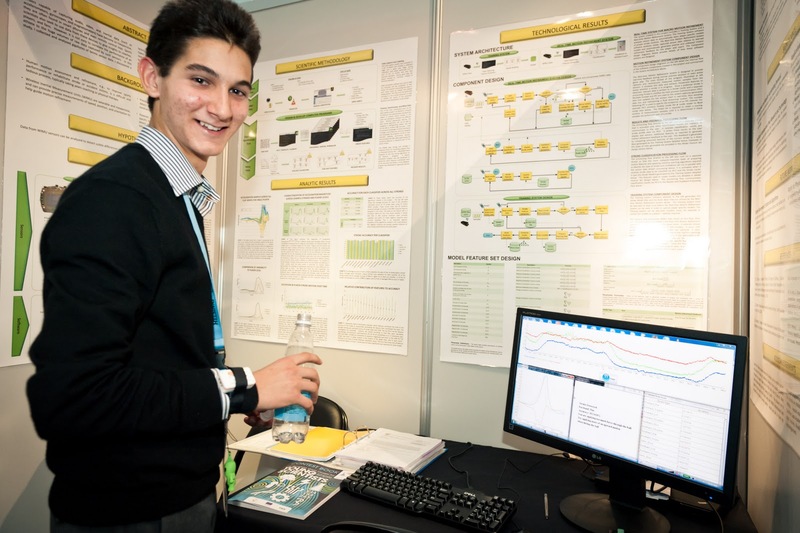 Alexander Amini, the winner of Ireland's BT Young Scientist Award for 2011 has scooped the top European Young Scientist Award in Finland today. 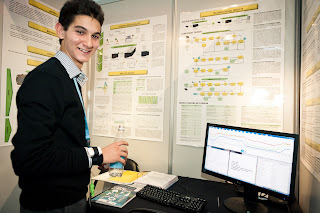 Alexander's work looked at collecting and analyzing huge quantities of sensor data taken from tennis courts and discovered a technique for automatically distinguishing between 13 different types of tennis stroke with a 96% accuracy. His findings are relevant to a variety of motion assessment scenarios in sports, physical therapy and emergency responses. Although technology already exists to measure some of the tennis strokes, Alexander's system can measure much more. Speaking after winning the Irish award, the young scientists said: "I am very proud and happy.I could never have imagined this would happen. I spent about four months working on this project," he said. "My father taught me tennis and was very into technique and this inspired me." In total, 3 first place awards were made, with young scientists from Lithuania and Switzerland also taking the top prize. Winners were announced at a ceremony in Helsinki and on the competition's Twitter stream. Alexander is a student of Castleknock College in Dublin and will be awarded a €7,000 prize fund. That's on top of his cheque for €5,000 which he receives for winning the Irish Young Scientist Competition.